There are currently 30,577 users on this website. i got a buddy that recently got some old coins from his great uncle that passed away. we are just curious as to exactly where they are from and how much they are possibly worth!! each sac that the coin is in say 500 and I think one even said 1 mil or 3 mil. which I'm just gonna assume that the 500's and the 1 or 3 mil, means money!! we would really appreciate any help with the locations an info on how they maybe possibly worth!! 10mils equal to 1 cent, Maltese coins. top is Swedish I think, not sure. 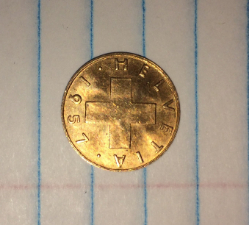 (6) The last coin dated 1957 is a Swiss coin (Helvetica in Latin). The Number on the reverse is the denomination in Rappen. 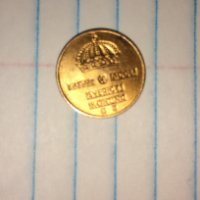 They made 1 and 2 Rappen coins in bronze. These are common and circulated on a limited basis. (5) The coin above it is a Lebanese Piastre from 1955 a small aluminum bronze coin with a mintage of 4,000,000. 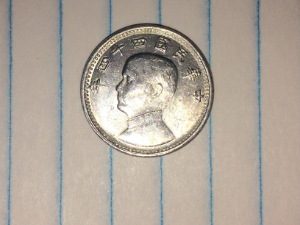 (4) The Taiwanese (Republic of China) coin is a Chiao a small aluminum coin from 1955 with a mintage of about 1/2 billion. 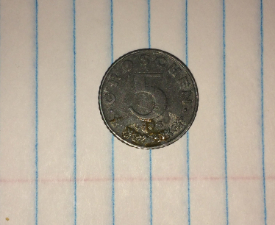 (3) The coin above Chiang Kai-shek is an Austrian coin struck in zinc with the denomination 5 Groschen visible. These were issued for years after the end of WWII starting in 1948. Most are very common and if corroded are of very limited potential value. Easily confused with the German 5 Pfennig. 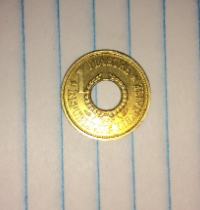 (2) The coin is from Finland. The reverse shows the denomination 25 Pennia, 50 Pennia or or Markka likely copper-nickel coins. However given the date range of the other coins I suspect it may be one of the iron Markka's issued in large numbers from 1948-1952 which tend to appear in high grades. The obverse of all these types are close to identical so the reverse would be needed to be sure. (1) This is a Swedish 2 Ore struck in bronze from 1952-1971 common as a type it is of limited interest below EF-AU. All of these are common world coins. They are all typically found in dealer junk boxes in the US for well under $1 each. The meaning of the notations on the sacks would be pure speculation. Most US dealers buy these for a couple dollars a pound. Agree with Swamperbob, not worth much. Bob I was only going off the top of my head. 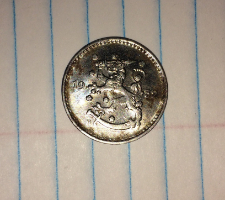 Usually coins will have good value if they are silver content in them, unless they are rare date or rare varieties. The silver one is aluminum I think! Obly reason I say so is cause its so light and feels like fake kids money from dollar general! No. 1 is a Swedish 1 Öre 1952-1971, judging by the distance between the lines compared to No. 2 which should be a Finnish 1 Markka 1952, iron. The 1 Öre coin looks polished to me.